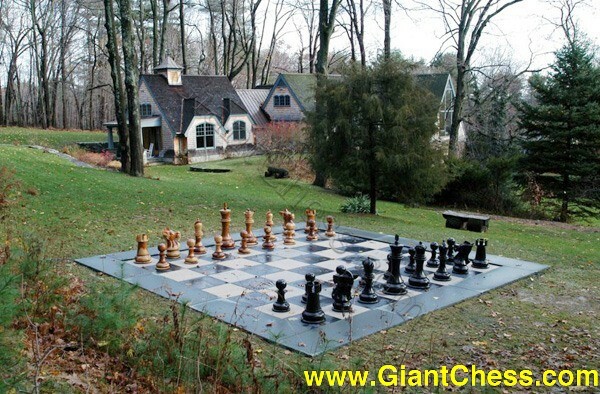 The Chess Board made up of squares that are 2 feet by 2 feet. The black squares are made from slate and the white squares are limestone. The border is bluestone and the whole set is 20 feet by 20 feet.